Tenba has added two sizes to its DNA Messenger range, aimed at DSLR and mirrorless camera users. Both feature Tenba’s Fidlock Magnetic clips, billed as the fastest in the world, for shooting on the go. The bags are available from £99. Visit www.tenba.com. As a camera remote you can really do much better than this. 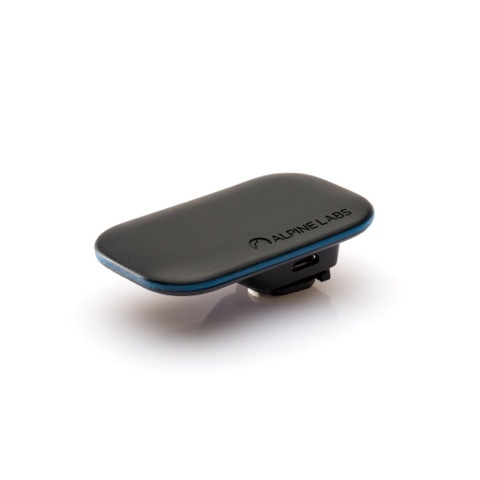 The Alpine Pulse began life as a project on kickstarter, a project which was very successful. 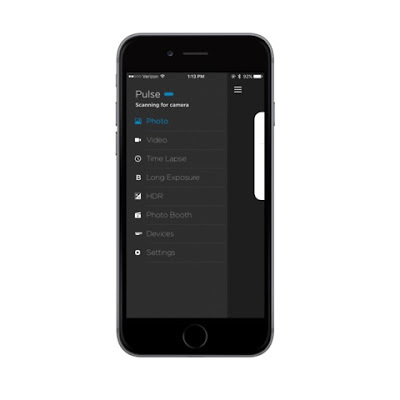 The Pulse is a great looking little device, which simply hooks up to your camera’s USB port and then once connected you can remotely shoot photos, video or time-lapse footage from your smartphone or tablet from up to 100 feet away. Use the smartly designed app to access basic settings such as aperture, shutter and ISO, or play with advanced features that include time-lapse, long exposure and HDR bracketing. You can even control several cameras at once via the app. The pulse is small, cool looking and will last more than 24 hours on a full charge. It supports both iOS and Android platforms, the device will work with Over sixty Canon, Nikon and Panasonic cameras. Manfrotto launched a new XPRO+ monopod family for video. The range is made up of six high-performance models. It features Manfrotto’s new detachable Fluidtech Base, which has a spherical joint located inside the base for smoother movement in all directions. Visit www.manfrotto.co.uk for more details. DJI has introduced the Mavic Pro, a portable drone that be folded down to fit into a backpack. 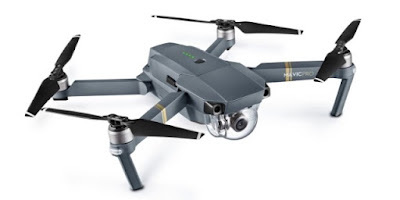 It features a stabilised 4K 12 megapixel camera, a visual navigation system, a 4.3-mile (7km) range and up to 27 minutes of flight time on standard batteries. 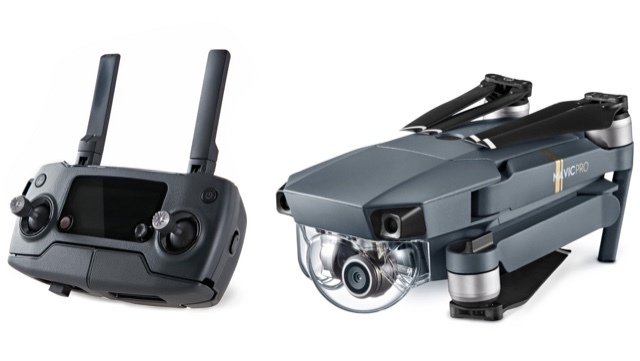 The Mavic Pro can be operated via a dedicated long-range remote controller, or through your smartphone for shorter distances. The Mavic Pro will retail for around £999.00. 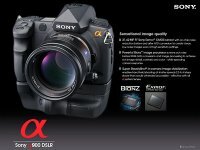 Sony have launched their A6500 SYSTEM camera, and also a ‘Mark V’ version of their RX100 flagship compact, have been launched in time to make the Christmas market. The 20.1 megapixel RX100 Mk V has what Sony claims is the world’s fastest AF acquisition at 0.05 seconds and also uses the world’s highest number of AF points on a sensor: 315 in total. Its one-inch sensor has been developed specifically for this model. The lens is a 24-70mm zoom with an f/1.8 maximum aperture. Sony have also added 4K video. The new A6500 features a ‘4D Focus’ system and comes with 425 phase-detection points. It has a capture rate of 11fps with continuous auto focus and supports up to 8fps in live view shooting mode. It also features five-axis in-body image stabilisation and a 24.2 megapixel APS-C sized sensor. 4K-video is available for shooters in Super 35mm format. Eastman Kodak Company and Bullitt Group announced their KODAK EKTRA Smartphone, a photography-led smartphone designed for those with a passion for photography, from enthusiasts to experts. Kodak are drawing on their vast experience in digital imaging to create a Smartphone which uses innovative technologies and the robust Android OS to appeal to the photo enthusiast. The EKTRA will be launching soon across Europe. The Smartphone draws on retro looks and even has a number of nice looking cases which will enhance that classic appeal. Below is some of the text from Kodak's announcement detailing the specs and capabilities. The EKTRA is designed to capture the best in image quality and features excellent media management capabilities. 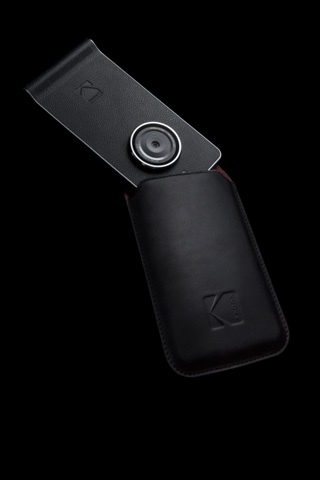 The KODAK EKTRA Smartphone has an ergonomically weighted and high quality industrial design, underlining its camera styling and featuring a dedicated dual press shutter button in the horizontal style of traditional cameras. The device also features a Super 8 app, providing professional effects reminiscent of Kodak’s iconic Super 8 film stocks.A lightning-fast HELIO X20 Decacore processor powers the ANDROID Marshmallow smartphone. I look forward to trying out the EKTRA when it is release and will report back on my first impressions. Kodak and Ektra are trademarks of Kodak. I've decided that I've missed working on this blog, and that it is high time I refocused my attention here. I've missed looking at new imaging, design, art and photographic technologies and products, as well as exploring the world of creative imaging. Look for more updates on a regular basis. Apple announced their newest iPod - OK its a little more than an iPod but not much. The iPad represents Apple's third tier in their iPod line and in many peoples eyes has failed to meet the expectations of many in the Mac world. People were hoping that Apple would release a tablet/slate type computer with some level of support for pen based computing and also one which supported a tablet enhanced Mac-OS. My colleague Howard Carson over at Kickstartnews summed up many peoples response and assessment of this poor showing by Apple. I use Macs and iPods on a daily basis and what I have been hopinf for is that they would lead the pack. Instead of which we have a big expensive and barely portable iPod Touch. This combined with less than complete support for web standards like Flash and other technologies and you have a recipe for disappointment. Add to this the burden of DRM and other problematic content restrictions like regional licensing and you really have to wonder "what the hell are they thinking?" Will I buy one ... not likely ... back to the drawing board, Apple. This year's Photokina looks to have been one of the busiest ever. With new releases and some interesting developments, I'm looking forward to what the next year will bring in the way of both software and hardware. The barriers between technologies are now looking greyer than ever as convergence is continuing to be something to be reckoned with. Several DSLRs are now offering super high pixel counts and HD quality video. This is a feature which you will no doubt see more of as journalists start using the cameras which combine photo & video in one chassis. You'll no doubt start seeing the top range models incorporating this feature as well. The resolution issue is rapidly disappearing and as good as the capabilities and potential of non-Bayer-based technologies appear to be (e.g., Foveon), I've yet to see anything approaching the pixel counts of conventional chip technologies in these competing systems. There were, however, several new professional and medium format type cameras featuring resolutions which were in the 50 megapixel area. For the average person the capabilties of their camera phone is proving to be a real winner, because requirements are being met more than adequately. Apple have fallen behind here because the iPhone is way behind the resolution camera phone standard of 5 megapixels. Newer mobile phones are incorporating video more and more and again convergence is making its presence felt. I mention mobiles because many sites have remarked on the reduction in the number of compact digicams being shown. To be honest I've alway felt there were way too many models offered, the less-is-more school being my favored approach to dealing with the market. Manufacturers have been forced to pay attention and adapt. Hardware seems to have been the primary focus for a lot of the coverage from other sites, but there has also been a lot of activity in areas of software and services aimed at both the amateur and professional photographer. One growth area has been print-on-demand sevices and products where many photographers are now able to produce short run editions of their photography in bound and folio versions. There has also been much movement in large format output services, making it easy for photographers and imageers to reproduce their work for resale and display. Photokina had a number of these service providers present and showing their wares and services. The growth in the number of software solutions on offer for handling RAW files and processing images is now making it a real chore to try and figure out which way to go, when picking tools to work with. Adobe (Photoshop CS 4, Photoshop Elements 6 & 7, Lightoom), Corel (Paint Shop Pro), Apple (Aperture) and many others (e.g., Nik Software, ACD Systems, etc., etc. ), announced and/or showed their photography workflow and editing tools. We’re not going to attempt to even look into things in too much depth, as there were over 1600 exhibitors at Photokina this year, but we will cover as much as we can. Adobe have released a whole range of new products including both consumer and pro level tools. At the consumer end they have released Adobe Photoshop Elements 7 and Premiere Elements 7, both of which offer some innovative ways for consumers to interact and work with their content. At the pro level they have released CS4 of their toolkit. This of course includes the latest versions of Photoshop Creatuve Suite 4 and CS4 Extended. New features include enhanced 3D support, tabbed document Windows, enhanced support in Bridge, enhanced viewing & handling of panoramic content, and faster application start-up. BenQ showed their E1050 which is according to them the world’s slimmest camera with a 3-inch LCD screen. Carl Zeiss showed the compact Tele-Tessar T* 4/85 ZM, which is a new addition to the ZM line of rangefinder camera lenses. They also showed their Distagon T* 2.8/21 - 21mm super wide angle lens for SLR cameras. Carl Zeiss are also expanding their manual focus SLR lenses to include the Canon EF mount on the new ZE range. Casio intro'd a number of consumer digicams including the Casio Exilim EX-Z85, Exilim EX-Z300, Exilim EX-Z250 and the Exilim EX-FH20. Epson showcased a variety of products including their portable storage solutions, the P-6000 and P-7000. They also showed the brand new Artisan line of all-in-one inkjet printers including the Artisan 800 and 700. The Epson Stylus NX100/NX200/NX300 all-in-one consumer models were also on show. For those of you who have stuff to scan the Epson Perfection V300 was presented as a unit to consider with its 4800 x 9600 dpi maximum hardware resolution, 48-bit color scanning and 3.2 dynamic range. GE showed their A1030, a slim 10 megapixel digicam which has a 2.5 inch LCD screen, 3x optical zoom and uses AA batteries. The E1055W features a 10 megapixels sensor, wide-angle 5x zoom lens and a 3-inch LCD screen. GE also showed the E1050TW which in addition to a 3.0" touch screen LCD and 28 mm wide-angle, 5x zoom lens, offers 1280 x 720 pixel HD movie recording, plus Face, Blink and Smile detection functions. Just to prove that film isn't completely dead Kodak showed their Professional Ektar 100 a new ISO 100 smooth-grain color film which has high saturation and ultra-vivid color, and offers the finest, smoothest grain of any color negative film available today. LaCie showed their 730, 724 and 720 Monitors which offer Ultra-wide gamuts of up to 123 percent of Adobe RGB colorspace. A must see for anyone involved in imaging and photography. Leaf have intro'd a number of medium format cameras and digital camera backs. These are the AFi-II 10, 7 and 6 digital medium format cameras and the related Aptus-II 10, 7 and 6 digital backs. The AFi-II 7 and 10 feature the first 90° tilting LCD screens. The AFi-II 10 and Aptus-II 10 uses a 56 megapixel, 56 x 36mm sensor. The AFi-II 7 and Aptus-II 7 use a 33 megapixel, 48 x 36mm sensor, whilst the AFi-II 6 and Aptus-II 6 use a 28 megapixel, 44 x 33mm sensor. All of the new cameras/backs feature 3.5" touch screen LCD displays, 12 stop dynamic range, a 50-800 ISO range and 16-bit output. Another new feature is Leaf Verto which is an internal sensor rotation dial on the side and bottom of the AFi-II 7 and 10 that allows photographers to rotate the sensor without removing the digital back. Leica showcased their new S2 Digital SLR which features a larger medium format 37 megapixel sensor. This camera is about the size of the Canon 1DS MKIII. Leica's other camera and lens offerings were somewhat overshadowed by this camera, but include the digital rangefinder based Leica M8.2 and the D-LUX 4 and C-LUX 3 consumer digicams. Leica also showed the Leica NOCTILUX-M 50 mm f /1, SUMMILUX-M 21 mm f / 1.4 ASPH, SUMMILUX-M 24mm f / 1.4 ASPH and the ELMAR-M 24 mm f / 3.8 ASPH as well as some prototypes including the rather nice looking 30mm Tilt & Shift CS lens. Lensbaby showed three new lenses called Composer, Muse and Control Freak. The Muse and Control Freak replace the current Lensbaby Original, 2.0 and 3G lenses. The Composer is interesting in that it features a ball & socket type assembly, which according to Lensbaby offers greater precision and ease of use. All the new lenses feature a new Optic Swap System which allows the user to choose from four interchangeable optics — double glass, single glass, plastic and Pinhole — and which also extend the future capabilities of the system. Mamiya unveiled the ZDb digital back and the recently announced 645 AF DIII featuring their 22 megapixel Dalsa CCD sensor. Mamiya also showed some of its high-end glass including the new leaf shutter based Sekor AF 80mm F2.8 D L/S and their Mamiya Remote Capture software. Microsoft showed the recently released Photosynth. This innovative product allows the association of images to create 3D scenes. Photosynth allows you to relate these images and analyses each image for similarities. Photosynth then uses this data to build a 3D model of where the photos were taken. Minox showed the DC 1033 a 10 megapixel digicam with 5x zoom lens and the Minox DCC Leica M3 Gold Edition which is a 5 megapixel digicam based on the Leica M3 featuring a striking design in black and gold. Olympus surprised a lot of folks at Photokina with a mock-up of their Micro Four Thirds camera concept. The mockup measured around 4.7" x 2.5" x 1.2" and looks like it'll appeal to a lot of folks who want something versatile but compact. Olympus also showed another prototype of a DSLR which will fit between the E-520 and E-3 models. They also showed several consumer digicams in the form of the 10 megapixel Mju/Stylus 1050SW and the 10 megapixel Mju/Stylus 1040. At the lower end they showed three new 'FE' models; the FE-20, FE-360 and FE-370. Amongst its product showcase Panasonic showed its new Micro 4/3 Camera, the Panasonic DMC-G1 and several new lenses including the 14-45mm/F3.5-5.6/O.I.S. and the 45-200mm/F4.0-5.6/ O.I.S, and a Micro Four Thirds adapter. Pentax showcased its brand new K2000(K-m) and the associated lenses. This camera features an image stabilized 10 megapixel sensor and is small, light and easy to use. Pentax showed the following lenses: the DA 60-250mm F4 ED IF SDM, the DA 55mm F1.4 SDM, the DA 15mm F4 ED AL Limited, the DA L 18-55mm F3.5-5.6AL and the DA L 50-200mm F4-5.6AL. They also showed the DA 1.4X REAR CONVERTER SDM prototype. Sigma showed its SD15 Digital SLR and the worthy Sigma DP2 consumer digicam, both of which feature sensors based on Foveon technology. Sigma showed a number of lenses including the 24-70mm F2.8 EX DG HSM, the 50mm F1.4 EX DG HSM, 4.5mm F2.8 EX DC HSM Fisheye Lens, 10mm F2.8 EX DC HSM Fisheye Lens and the Sigma APO 1.4x EX DG and Sigma APO 2x EX DG Tele Converters. Sigma also showed the Macro EM-140 DG flash for Pentax and Sony. Sinar showed their Hy6 65 medium format system which includes the eSprit65 back which is first to produce DNG files onboard. Sinar also showed a dedicated architecture camera, the arTEc, which was developed in collaboration with architecture photographer Rainer Viertlboeck. The 1.5Kg, relatively compact camera offers +/- 5 degree tilt, rotatable through 360 degrees and +25mm/-15mm shift vertically and +/-20mm horizontally. The Sinar eXposure software developed with architecture photography in mind is available from the company's website. On the storage front there have been a few new developments but nothing noteworthy speedwise. The biggest advances have been in the way of storage capacity and format. Delkin released its new USB external 4X Blue-Ray Disc drive and a line of archival quality Blu-ray discs. The discs have 25GB capacity and purportedly have a 200 year lifespan. A 25GB disk can be burned in 30 minutes using this drive. Kingston released its 32GB Class 4 SDHC card. SanDisk showed their new Extreme III 32 GB CF card, Extreme IV 16 GB CF card and the Extreme III SDHC card. Digital Foci announced Photo Safe II, a portable storage solution which can act as a portable card reader and USB hard drive. It copys all data off memory cards including RAW and video files. Lowepro announced a number of bags including the Terraclime; The PrimusMinimus AW and CompuPrimus AW which are made from 51 percent recycled materials. The compact PrimusMinimus can haul a DSLR with a moderate-range zoom attached in addition to one or two extra lenses. The CompuPrimus AW, which has space for a DSLR, up to five lenses, and features a laptop compartment large enough for a 15.4" notebooks, The Primus line feature an all-weather cover and tripod attachment hardware. Also new is the Flipside 400 backpack which will easily fit a DSLR with pro-grade zoom and up to six extra lenses, the SlingShot 330 AW which is a side-opening bag that can accommodate a DSLR and several lenses alongside a 15" laptop. The most comprehensive coverage of the show can be found at http://www.photokina-show.com/ which has been put together by LetsGoDigital. Canon have announced the Powershot G10, Powershot SX1 IS, the Digital Ixus/Elph 980 IS and the 870 IS. The Canon PowerShot G10 features a 14.7 megapixel sensor and a 5x, 28-140mm zoom. This successor to the G9, also offers a large 3.0” PureColor LCD screen, a DIGIC 4 image processor, Canon’s new i-Contrast system to increase the dynamic range, and a Servo AF mode to continually adjust focus on a moving subject. It also like the G9, supports RAW. The Canon PowerShot G10 will be available from October for an SRP of £499.99 / €649.99. The PowerShot SX1 IS and PowerShot SX10 IS replace the PowerShot S5 IS, both the SX1 and SX10 feature a 20x wide-angle zoom lens, with USM and VCM for fast, silent, zooming, and optical Image Stabilizer. The Canon SX1 IS features a fast CMOS sensor which allows it to shoot full-resolution JPEGs at speeds up to 4fps. Both models also use Canon’s new DIGIC 4 processor, and feature full HD movie capture and full manual control over both aperture and shutter speed. The Canon PowerShot SX1 IS will be available from December for an SRP of £519.99 / €679.99, whilst the Canon PowerShot SX10 IS will have an SRP of £359.99 / €469.99. The 14.7 Megapixel Digital IXUS 980 IS features several exciting ‘firsts’ – including a Manual Mode that allows for control of shutter speed and aperture. It also comes in "stylish, head-turning" black and the traditional IXUS silver. The 10 Megapixel Digital IXUS 870 IS features a 4.0x wide-angle (28mm) optical zoom, a high-resolution 3.0” PureColor LCD II, and comes finished in gold or silver. Both cameras use Canon’s new DIGIC 4 processor. Both cameras offer smooth, 30fps VGA video shooting. Superior compression technology allows them store up to 40% more footage to memory card than their predecessors. The IXUS 980 IS will be available from late September for an SRP of £349.99 / €459.99. The IXUS 870 IS will be available from late September for an SRP of £269.99 / €349.99. The Photography Blog has published a hands on look at all these models at the links found below. Leica has announce a trio of digital cameras today. The cameras include the C-LUX 3, D-LUX 4 and the M8.2. The C-LUX 3, is a compact pocket-sized digicam that features 10-megapixel sensor, 25 to 125mm 5x optical zoom lens, all-metal chassis, optical image stabilization, face detection and a 2.5-inch LCD monitor. Available in black or white from October 2008, the LEICA C-LUX 3 will have an SRP of £420. The D-LUX 4, is a 10.1-megapixel compact camera which can extend its zoom range of 24 to 60-millimeters via lens adapters. It also features a choice of either an additional flash or a 24-millimeter optical viewfinder. Available from October 2008, the LEICA D-LUX 4 will have an SRP of £590. The M8.2, which keeps the current 10.3 megapixel sensor found in the M8 , but also features a new metal blade focal plane shutter, scratch-resistant sapphire crystal coverglass for the LCD, a "snapshot mode," redesigned bright frame lines in viewfinder and a Quick Override setting. The M8.2 should be available this month for an SRP of £3390. Authorised Leica dealers are also offering a £400 Leica M8 trade up incentive which is currently scheduled to end on 30th September 2008. SanDisk's have added a 32GB CompactFlash card to their 30MB/s Extreme III line of flash cards. SanDisk just announced the 32GB Extreme III CompactFlash card for $299. If you're a pro photographer shooting high-speed RAW images or a film maker producing a HD masterpiece, check it out. The new card should be available in October. Canon are showcasing a number of ads using the old silhouette in the dark teaser ads. The photo doesn't really show much but you can see the first teaser at a page titled Destined Evolution, featuring the silhouette of a canon dslr against an image of the moon. 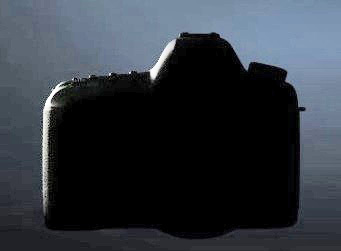 Some sites are guessing its a new Canon 5D. The image below is what comes out of the teasers when you process the image in photoshop - silhouette certainly looks like that of a 5D. Sony's revealed the A900 DSLR, which features a full frame 24.6 megapixel Exmor CMOS sensor, via an ill timed ad. It will also features Sony's Dual BIONZ image processing engine, a 3-inch Hybrid LCD with "Intelligent Preview," 5 fps continuous shooting, and Sony's SteadyShot image stabilization. There is no price or release date mentioned in the Ad but all should come clear as we approach Photokina. Canon have officially unveiled the EOS 50D. The 15.1 megapixel DSLR features an APS-C sized CMOS sensor, DIGIC 4 image processor, up to ISO 12800 support, a 3.0-inch LCD with Live View, face detection, HDMI output, 6.3fps burst mode. It also uses the same AF system found in Canon's 40D but with a new Microadjustment feature. This Prosumer centric model should have an SRP of $1,599 with Canon's EF 28-135mm f/3.5-5.6 IS USM zoom lens -- $1,399 for the body only. Amateur Photographer have released an article detailing some of the ways in which the public destroy their cameras. The details come from data which has been released by insurance group Domestic & General in the UK. It seems that around a sixth of us blame children or dog, 3% of claims run over their camera with a car, about three quarters drop their cameras, either onto a "hard surface", into water, or other wise damage the camera by falling onto it and using it to cushion their fall. The article is worth a read.